Musculoskeletal pain is the most common cause of disability globally (Vos et al. 2013). 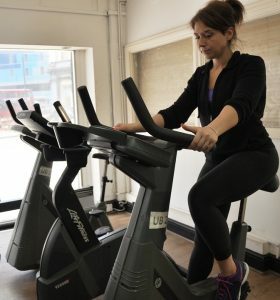 It is managed in primary care by a plethora of treatment options, such as self-management advice and education, analgesics, corticosteroid injections, exercise therapy, complementary therapies, and psychosocial interventions. Research suggests that localised musculoskeletal pain frequently coexists in more than one body region (Hartvigsen et al. 2013; Kamaleri et al. 2008). However, for many patients, clinical decision-making regarding treatment is often focused on one specific body region without much consideration for other co-existing pain problems. As a result, informed choices about which treatment might work best remains a clinical challenge. A more holistic view is perhaps difficult to obtain since trials and systematic reviews usually focus on a specific musculoskeletal pain sites and compare only two or three treatment options. In our review (Babatunde et al. 2017), we present a comprehensive summary of the comparative effectiveness of treatment options for the five most common musculoskeletal pain presentations in primary care: back, neck, shoulder, knee and multi-site. For most musculoskeletal pain presentations, non-pharmacological treatments, especially exercise therapy and psychosocial interventions, produce medium to large improvements for pain and function. Corticosteroid injections offer short-term benefit in those with knee and shoulder pain. NSAIDs and opioids (when appropriate) also offer short-term benefit for musculoskeletal pain, but the potential for adverse effects needs to be careful considered. We also discovered that evidence is equivocal regarding the optimal doses and delivery methods for the most effective treatments. The best available evidence shows that patients with musculoskeletal pain in primary care can be managed effectively with non-pharmacological treatments, such as self-management advice, exercise therapy, and psychosocial interventions. For short-term relief of knee and shoulder pain, pharmacological interventions, such as analgesics and corticosteroid injections may be used, in addition to non-pharmacological treatments. Our review has highlighted the gaps in evidence regarding treatment of musculoskeletal pain in primary care. Further research will be needed to determine the optimal dose and application of the most promising treatments. Babatunde OO, Jordan JL, Van der Windt DA, Hill JC, Foster NE, Protheroe J. Effective treatment options for musculoskeletal pain in primary care: A systematic overview of current evidence. PLoS ONE 12: e0178621, 2017. Hartvigsen J, Davidsen M, Hestbaek L, Sogaard K, Roos EM. Patterns of musculoskeletal pain in the population: a latent class analysis using a nationally representative interviewer-based survey of 4817 Danes. Eur J Pain 17: 452–460, 2013. Kamaleri Y, Natvig B, Ihlebaek CM, Bruusgaard D. Localized or widespread musculoskeletal pain: does it matter? Pain 138: 41–46, 2008. Vos T, Flaxman AD, Naghavi M, Lozano R, Michaud C, Ezzati M, et al. Years lived with disability (YLDs) for 1160 sequelae of 289 diseases and injuries 1990–2010: a systematic analysis for the Global Burden of Disease Study 2010. Lancet 380: 2163–2196, 2013. Opeyemi Babatunde is a researcher at Keele University. Her current research focuses on synthesis of current best evidence on musculoskeletal health with the aim of informing and fostering best practice in health services. 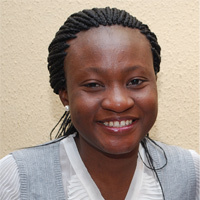 You can learn more about Opeyemi and her research here. Great review and it’s the basis for a presentation of mine as well to help other people become aware of this review. Thank you Dr Babtunde! Glad that you have found the review helpful for informing research and clinical practice on musculoskeletal pain. Good luck with your presentation and let us know how it goes!